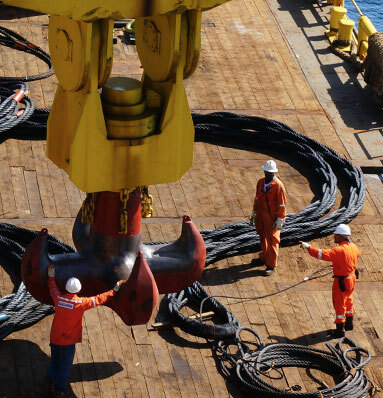 The Arena Offshore team is among the best in the industry, bringing together experienced professionals in drilling, completions, engineering and construction. With this diversity of talent and our focus on the Gulf of Mexico, our team offers basin-specific expertise across the entire well lifecycle. Michael McCauley came to Arena in 2007 as a Production Manager. He assumed the role and responsibilities of Operations General Manager in 2012. In his current position, Mr. McCauley works with Arena’s highly experienced Operations Management team to ensure the safe, compliant and efficient execution of offshore Gulf of Mexico drilling, construction and production operations projects with an annual capital budget of $300MM and LOE budget of $120MM. Prior to joining Arena, he held positions in production, drilling and reservoir engineering at Newfield Exploration, Vastar Resources, ARCO Oil & Gas, Texaco and Getty Oil, working almost exclusively in the offshore Gulf of Mexico. Mr. McCauley received a B.S. in Petroleum Engineering from Louisiana State University in 1982. Kalil Ackal has been the Drilling Manager at Arena since 2004, and has supervised the drilling of over 85 operated wells. His expertise in rig installation and directional, horizontal and extended-reach drilling has led Arena in successfully drilling some of the most complicated wells, consistently under budget. Mr. Ackal was an Operations Manager/Turnkey Contractor from 1999 to 2004, supervising approximately 130 drilling and completion projects for 41 different operators in both the Gulf of Mexico and inland waters of Louisiana and Texas. From 1990 to 1999, Mr. Ackal worked for Union Pacific Resources as a Drilling Superintendent. Prior to that, he was a Drilling Engineer and Production Engineer for eight years at the Marathon Oil Company in Lafayette, Louisiana. Mr. Ackal earned a B.S. in Petroleum Engineering from the University of Southwestern Louisiana in 1982. Brent Ozenne joined Arena as Production Engineer in 2008, and assumed the role and responsibilities of Production Manager in 2012. In this role, Mr. Ozenne oversees the production engineering and foremen group, along with the many contract operations staff members offshore. His staff manages an annual LOE budget of over $120MM. Previously, Mr. Ozenne was employed by Newfield Exploration, BP and Vastar Resources, holding various engineering positions. Mr. Ozenne has more than 15 years experience in production, facilities and reservoir engineering in the Gulf of Mexico and U.S. onshore basins. Mr. Ozenne earned a B.S. in Chemical Engineering from Louisiana State University in 1998. Charlie Duhon joined Arena in 2011. As HSE Manager, Mr. Duhon is responsible for directing the health, safety and environmental management efforts for Arena Offshore. He brings over 30 years of operations and safety and environmental management experience to the Arena team. Prior to joining Arena, Mr. Duhon was employed by BHP Billiton Petroleum and Kerr-McGee Oil & Gas Corporation, where his responsibilities included regulatory compliance, controls and automation, process safety management, and safety and environmental management, as well as Gulf of Mexico deep-water field operations management. Mr. Duhon is a two-time winner of the U.S. Department of the Interior’s Corporate Leadership Award (CORLA) for his accomplishments in the field of Safety and Environmental Management. Mr. Duhon earned a B.S. from the University of Houston and Master of Business Administration from Texas A&M University. Aimee began her career in oil and gas as a Regulatory Assistant working for an independent consulting firm. Since 2007, Aimee has worked directly with the engineers of Arena Offshore, LP, ultimately joining Arena’s ranks in 2014. As the company’s Regulatory Manager, Aimee oversees her team which works closely with the many governmental regulatory agencies, such as the BSEE District and Regional offices, BOEM, EPA, and USCG, ensuring that Arena can proceed with day-to-day operations and future development and production opportunities. Aimee graduated from Texas A&M University with a B.S. in Ocean and Coastal Resources. Allen White came to Arena in 2007. As the Supply Chain Manager, his responsibilities include sourcing and supplier development, from the bidding process through contract implementation; increasing pricing transparency in the supply chain for drilling, production and construction products; and ensuring accuracy in the billing and payment for products that have been procured. Mr. White is also a key member of the team charged with securing adequate insurance coverage for Arena’s offshore assets. Previously, he was the Global Category Manager for drilling services at Hess Corporation, where he was responsible for developing the worldwide strategy for the procurement of drilling services. From 2001 to 2003, Mr. White worked in drilling procurement at ExxonMobil, writing and negotiating contracts for multiple international drilling programs. From 2003 to 2005, he worked for ExxonMobil as a Drilling Engineer in the West Texas area. Mr. White earned a B.S. in Mechanical Engineering from the United States Naval Academy in 1996 and an M.B.A. from Boston University in 1999. Wade Broussard joined Arena Offshore at the company’s Lafayette location in 2014, bringing over 15 years of oil and gas experience. Prior to joining Arena, Mr. Broussard was employed by Apache Corporation, where he held various positions—most recently serving as SEMS Supervisor with responsibilities including the development, implementation and management of the company’s Safety & Environmental Management System. He has presented on SEMS topics at various industry conferences as well as workshops for employees and contractors. Also at Apache, Mr. Broussard played a key role in the development of the contractor safety management program. In addition, he performed both safety and regulatory functions and liaised with the BSEE and U.S. Coast Guard regarding oil and gas production in the federal waters of the Gulf of Mexico. Mr. Broussard earned a B.S. in Education from the University of Southwestern Louisiana. Wesley Bell joined Arena in 2012 as Senior Drilling Superintendent, bringing more than 25 years experience in drilling and completion operations. Prior to joining Arena, Mr. Bell held various positions at ADTI, Vastar and ARCO, including Drilling Engineer and Senior Drilling Engineer. Most recently, he served as ADTI’s Vice President of Operations. Mr. Bell graduated from the University of Oklahoma with a B.S. in Petroleum Engineering. Steve Metz joined Arena Offshore as a Drilling Engineer in 2014. He is responsible for drilling and completions design and execution for company projects. Prior to joining Arena, Mr. Metz was employed by Halliburton and, most recently, Hess Corporation as a Senior Drilling Engineer. He has spent his career managing well operations and optimizing drilling performance on inland, shelf and deepwater wells in the Gulf of Mexico. Mr. Metz received his undergraduate degree in 2004 from Texas A&M University, where he also earned a Master of Engineering in Petroleum Engineering in 2010. Don McCallum joined Arena in 2012 as the Drilling Operations Coordinator, with a direct focus on SEMS compliance. Drawing on his experience as Operations and Safety Manager at ADTI, he works closely with rig site supervisors, drilling contractors and service providers to streamline the SEMS documentation process. In addition, Mr. McCallum is responsible for interfacing with Arena Offshore’s Regulatory and HSE Managers to construct an SEMS documentation database that enables the efficient performance of internal and BSEE audits, and the creation and publication of guidelines for drilling, completion and remedial operations. 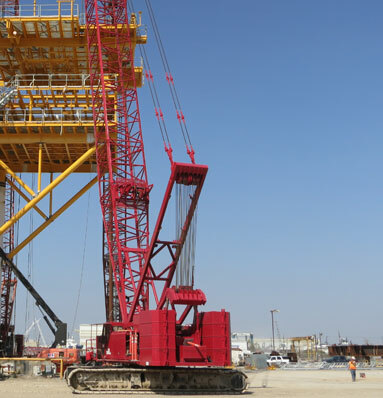 He also conducts rig inspections and incident investigations which focus on safety and regulatory compliance, in an effort to improve contractor safety performance and minimize Incidents of Noncompliance (INCs) for all of Arena’s activities. Mr. McCallum graduated from Nicholls State University in 1989 with a B.S. in Petroleum Technology. Ben Frederick joined Arena in 2012 as a Production Engineer. In this role, his responsibilities include providing recommendations in technical evaluations for stimulating reservoirs, overseeing wellwork operations, supporting facility modification efforts, and maintaining strong relationships with field-operations personnel. Mr. Frederick gained his first industry experience while drilling and fracturing shallow oil and gas wells for his family business. Before coming to Arena, he worked for Newfield Exploration and, most recently, Vitruvian Exploration, where he was an Onshore Production Engineer. Mr. Frederick graduated from Penn State with a B.S. in Petroleum Engineering in 2008. Stan Doiron joined Arena Offshore as a Production Engineer in 2014. In this role, Mr. Doiron is responsible for providing technical evaluations and recommendations, budget and production forecasting, and leading “best practices” efforts in well intervention and abandonment activity. Prior to joining Arena, Mr. Doiron was employed by Smith Production, EDC and—most recently—Noble Energy, holding various engineering and leadership positions. He has over 20 years experience in production engineering, project management and operations supervision in the Gulf of Mexico and Eastern Mediterranean Sea. Mr. Doiron earned a B.S. in Petroleum Engineering from Louisiana State University in 1993. Ward Maloy joined Arena as a Production Engineer in 2016. Previously, Mr. Maloy worked for Northstar for 11 years, holding both Gulf of Mexico production engineering and management positions during that time. He has also worked for El Paso Production for 3 years as a reservoir engineer in South Texas and as a drilling engineer in the Gulf of Mexico. Prior to his time with El Paso, Mr. Maloy worked with Coastal Oil & Gas in a production engineering capacity onshore in The Rockies for three years. Mr. Maloy earned a BS in Petroleum Engineering in 1999 from Colorado School of Mines. Michael Francis joined Arena as a Senior Production Engineer in 2013. Prior to joining Arena, Mr. Francis worked for ARCO, Vaster and BP, holding various production engineering, reservoir engineering and management positions. He has more than 31 years experience in the Gulf of Mexico, Alaskan North Slope, Gulf Coast, Permian Basin and Java Sea basins. Mr. Francis received a B.S. in Petroleum Engineering from Texas A&M University in 1981 and is a registered Professional Engineer. Donald Reeves joined Arena Offshore as a Production Engineer in 2013. Prior to joining Arena, Mr. Reeves worked for Noble Energy on international projects offshore from Israel in the Mediterranean Sea, including in the Tamar and Leviathan gas fields. He also worked for BP on the Alaska North Slope and in the deepwater Gulf of Mexico. Mr. Reeves has over 13 years of engineering experience and graduated with a B.S. in Mechanical Engineering from the University of Tulsa in 1997. Bruno Maldonado joined Arena Offshore as a Production Engineer in 2017. In this role, Mr. Maldonado is responsible for providing technical evaluations and recommendations, budget and production forecasting, and leading “Best Practices” efforts in well intervention and abandonment activity. 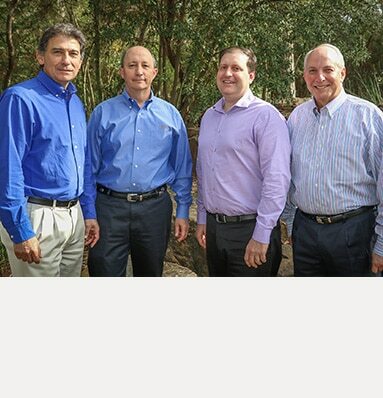 Prior to joining Arena, Mr. Maldonado was employed by Cantera Operating, EnerVest Operating, Newfield Exploration, and Champion Technologies, holding various engineering roles including reservoir, production/operations, and completions. Bruno earned his B.S. in Petroleum Engineering from Texas A&M University in 2005. Mark Coulon joined Arena Offshore in 2016 as a Production Foreman. Working out of the Arena operations office in Lafayette, he supervises production operations for the Vermilion, East Cameron, West Cameron, Eugene Island (partial) and Matagorda Island areas of the Gulf of Mexico Shelf. In addition to monitoring production, Mr. Coulon sets the operating budget for fields in his areas and seeks to maximize oil and gas production to meet company goals while maintaining high standards for workplace safety and regulatory compliance. Prior to joining Arena, Mark held various supervisory, regulatory, and operational positions at Fieldwood Energy, Apache Corporation, Island Operating Company and Grasso Production Management over the past 19 years in the Gulf of Mexico. Dickey Marze came to Arena in 2008 as a Production Foreman. Working out of the Arena operations office in Lafayette, he supervises production operations for the Eugene Island and South Marsh Island areas of the Gulf of Mexico Shelf. 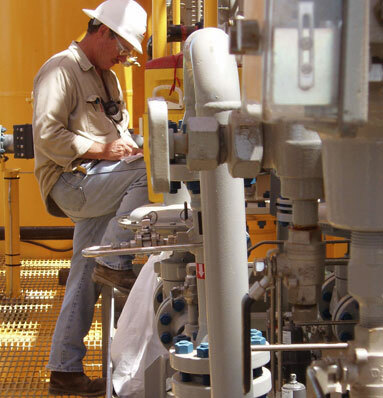 In addition to monitoring production, Mr. Marze sets the operating budget for fields in his areas and seeks to maximize oil and gas production to meet company goals while maintaining high standards for workplace safety and regulatory compliance. From 2001 to 2008, Mr. Marze was a Production Foreman at Newfield Exploration, working mainly in the offshore Central Gulf of Mexico, but also in Louisiana and East Texas land facilities. He began his oilfield career in 1991 as a Contract Operator for McMoRan. Mr. Marze is a graduate of Northwestern State University with a degree in Physical Education. Tony Miller joined Arena in 2012 as a Production Foreman. Working out of the Arena operations office in Lafayette, he is responsible for supervising production operations in the shallow Eugene Island area of the Gulf of Mexico Shelf. 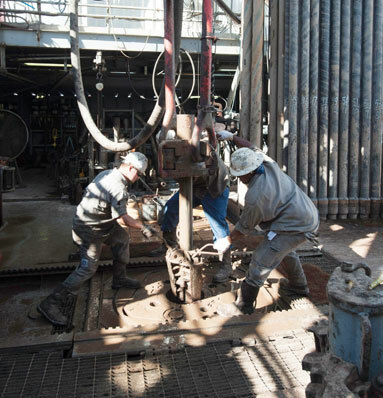 In addition to monitoring production, Mr. Miller sets the operating budget for fields in his area and seeks to maximize oil and gas production to meet company goals while maintaining high standards for workplace safety and regulatory compliance. Prior to joining Arena, Mr. Miller held various supervisory and operational positions at Quality Production Management, Production Management Industries and Grasso Production Management. He has more than 20 years experience in oil and gas operations in the Gulf of Mexico. Mr. Miller graduated from Nicholls State University with a B.S. in Petroleum Services Technology and an A.S. in Industry Safety Technology. Wayne Maturin joined Arena in 2008 as a Production Foreman. Working out of the Arena operations office in Lafayette, he supervises production operations for the South Timbalier, South Pelto, Grand Isle, West Delta, Main Pass and South Pass areas of the Gulf of Mexico Shelf. In addition to monitoring production, Mr. Maturin sets the operating budget for fields in his areas and seeks to maximize oil and gas production to meet company goals while maintaining high standards for workplace safety and regulatory compliance. Prior to joining Arena, Mr. Maturin held various supervisory and operational positions at McMoRan, Newfield Exploration and Grasso Production Management. He has more than 20 years experience in oil and gas operations in the Gulf of Mexico. Stanley Bouley joined Arena in 2010 as a Production Foreman. Working out of the Arena operations office in Lafayette, he supervises production operations for the Vermilion, East Cameron, West Cameron, High Island and Matagorda Island areas of the Gulf of Mexico Shelf. In addition to monitoring production, Mr. Bouley sets the operating budget for fields in his areas and seeks to maximize oil and gas production to meet company goals while maintaining high standards for workplace safety and regulatory compliance. Prior to joining Arena, Mr. Bouley held various supervisory and operational positions at McMoRan and Grasso Production Management. He also spent 15 years as a Contract Operator with Newfield Exploration, where he worked in the Gulf of Mexico and South China Sea. He has 20 years experience in oil and gas operations in the Gulf of Mexico. John Thibodeaux joined Arena Offshore in 2013, initially as an offshore Field Foreman, and currently works as a Production Foreman in the Lafayette, LA office. He supervises production operations for the Eugene Island (Shallow) areas of the Gulf of Mexico Shelf. In addition to monitoring production, Mr. Thibodeaux sets the operating budget for fields in his areas and seeks to maximize oil and gas production to meet company goals while maintaining high standards for workplace safety and regulatory compliance. Prior to joining Arena, John held various operations positions at Island Operating Company, Production Management Inc, and Grasso Production Management over the past 16 years working in the Gulf of Mexico. Nash Nyshadham joined Arena in 2013 as Senior Construction Engineer, bringing over 22 years experience working in the oil industry, both internationally and domestically. His responsibilities include managing the concept planning, design, construction and installation of new platforms and pipelines; modifying existing platforms and pipelines; and the abandonment of offshore facilities. Mr. Nyshadham began his career with Oil and Natural Gas Corporation, India, and remained with ONGC for 10 years before moving to the U.S. in 2000 to pursue his master’s degree. He subsequently worked for Lowe Offshore, Noble Denton, GL Noble Denton and Apache Corporation before joining Arena Offshore. Mr. Nyshadham received his B.S. in Mechanical Engineering from Osmania University, India, in 1988 and a Master of Natural Gas Engineering from Texas A&M – Kingsville in 2001. Steve Frantz joined Arena Offshore in 2017 as a Senior Construction Engineer. Prior to joining Arena, Mr. Frantz accumulated over 30 years of experience in upstream oil and gas operations and facility engineering. He brings specialized expertise in developing key operating strategies and providing both major project management and daily operations support. Steve has professional experience with ARCO Oil & Gas Company, Arrington Petroleum Resources, BP America/Vastar Resources, and, most recently, spent 10 years with Talos Energy/ERT. Mr. Frantz graduated from Rice University with a degree in Mechanical Engineering in 1983 and is a registered professional engineer in the State of Texas. Justin Nelson joined Arena Offshore in 2014 as a Construction Engineer. Mr. Nelson has offshore experience both in a consulting capacity and as a direct participant. Prior to joining Arena, Mr. Nelson worked for Paloma Energy Consultants, Dynamic Offshore Resources and SandRidge Energy. With Paloma, his responsibilities included facilitating the installation of projects in the Gulf of Mexico and Bahamas, managing the project planning, cost estimation, scheduling, contract negotiation and construction. More recently, Mr. Nelson oversaw all construction activities in the Gulf for SandRidge. Mr. Nelson graduated with a B.S. in Civil Engineering from Texas A&M University in 2006. Bryant Bradshaw joined Arena Offshore in 2016 as a Construction Engineer. Mr. Bradshaw has over 26 years of experience in the Oil & Gas industry in both on- and offshore capacities. Prior to joining Arena, Mr. Bradshaw worked with Erin Energy in project management capacities. While with Water Standard Management Mr. Bradshaw served as project manager for a team developing designs of new enhanced oil recovery vessels, managing both operating and capital cost estimates, as well as being very involved in the HSE philosophies and policy development of the company. Bryant has also worked with several other international entities on designs for facilities and platforms being installed and operated worldwide during his career. Mr. Bradshaw started his career with Chevron USA in Louisiana and also spent time with Pegasus International as a project engineer for several years before returning to Texas. Bryant graduated from Texas A&M University with a degree in Civil Engineering in 1990 and is a registered professional engineer in the State of Louisiana.